Building Owners Brace for Tall Order - Wall Street Journal Article - News - Resources - Allied Commercial Real Estate, Inc.
One of the biggest complaints of office tenants is that building owners throughout the world use different systems for measuring how many square feet or square meters tenants are leasing, deviating as much as 24% from one another. Now an international coalition of real-estate organizations formed last year is hoping to change that. The International Property Measurement Standards Coalition in June plans to announce a single measurement system for the global office market. "The current situation on measuring standards is totally unacceptable," said Ken Creighton, chair of the coalition's board of trustees. But whether or not building owners adopt or ignore the standards remains to be seen. The coalition doesn't have the clout to require owners to follow its standards and many landlords don't want to change their current systems, which can mean millions of dollars in extra rent. For some building owners, adopting a new measurement standard would mean that their building would shrink in size and lose value. "There is a risk that some firms may be sitting on balance sheets that are actually worth significantly less when measured by a common standard," said Scott McMillan, chief of real estate at the International Monetary Fund. For many, the debate might seem surprising. After all, landlords throughout the world are governed by the same laws of physics. But they use widely different systems for measuring space and this affects rents, which typically are charged on a price-per-square-foot or price-per-square-meter basis. For example, for a space that measures 10,000 square meters (108,000 square feet), some landlords will simply charge rent based on that amount. But most will increase the size by some factor depending on what formula they use for apportioning public space in the building—lobbies, bathrooms, hallways—to tenants. Landlords also vary in whether they begin their measurement from inside or outside an exterior wall. Some begin measurements at their building's farthest extremity, like the nose of a gargoyle. In some cities, including New York, landlords generally have increased loss factors over the years. For example, in 1979, architectural guides listed the Pan Am Building at 2.4 million square feet. 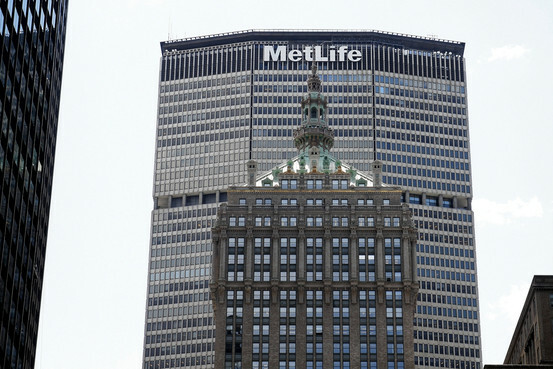 Today the tower, which has been renamed the MetLife Building, is listed at 3 million square feet. Tenants say consistent standards are greatly needed. "I would have preferred this to have happened five years ago, but better now than in five or 10 years' time," said Billy Davidson, group property director of Vodafone. VOD.LN -0.12% "This is the right thing to do." The Standards Coalition was formed in 2013 by a group of international property organizations including the Royal Institution of Chartered Surveyors in the U.K., the Building Owners and Managers Association in the U.S. and the International Monetary Fund. The move was partly in response to increasing pressure from large global tenants that are frustrated by the numerous measurement systems. A group of 18 experts representing 11 countries have been working on the standards. Proposed standards have been circulating for comment among real-estate professionals for months. Coalition members expect the standards to be controversial. "In any initiative in standardization there will inevitably be winners and losers," said Marc Mogull, an executive with the investment firm Benson Elliot who also is a member of the Royal Institution of Chartered Surveyors. There is also the question of implementation. Building owners will have to voluntarily accept the new standards and it isn't clear how many will do so, especially if it could mean a financial loss. Many real-estate executives in New York are skeptical that new standards will change the minds of the city's landlords. "It's an important enough market that they can make their own rules," said Mark Weiss, vice chairman of Newmark Grubb Knight Frank. But tenants could put pressure on building owners to accept standards by avoiding properties that don't. "I need the confidence from my suppliers to know when they give me comparable details that it's really comparable," said Vodafone's Mr. Davidson. "With [the new standards] I can say that I won't consider your building unless you show me the measurements based on these standards." Some government agencies say they will help pressure owners to accept the standards. One such agency is Dubai's Land Department, according to Mohamad Al-Dah, a senior director. "From our own point of view we don't have very fair standards in Dubai, but once the Land department begins using it, we will encourage businesses in Dubai to adopt it," he said.